Food for Thought ← You Want Me To Wear What? If you thought the cheeseburger phone from “Juno” was cool, wait until you see this work of art. 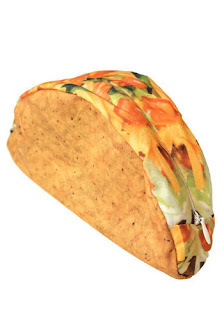 That’s right, it’s a wallet shaped like a taco. A taco that holds your money.